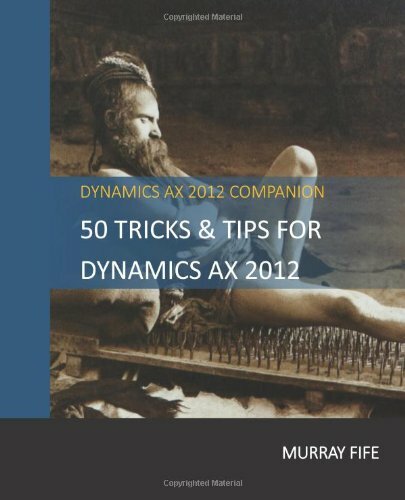 There is one setup step that is required in order to enable to Lync with the people within the organization, and that is to tell Dynamics AX what email address to use for the people when searching for them through Lync. 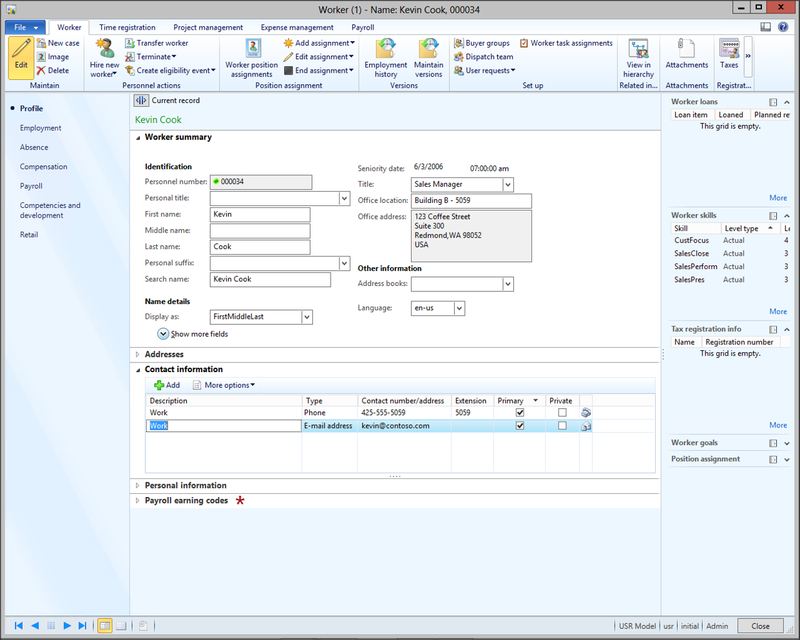 To do this you need to open up the Worker records, and make sure that their Lync email address is registered against the Contact Information. 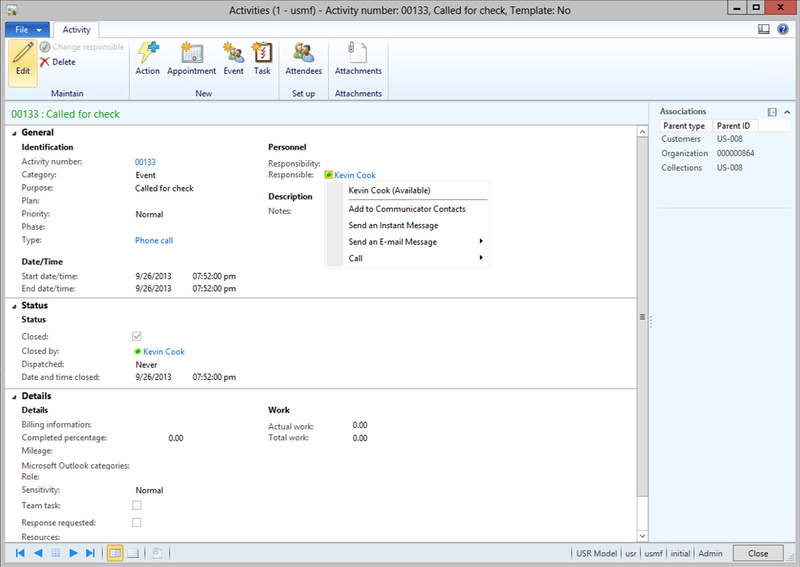 You also need to check that the Instant message and Instant message sign-in flags are checked against the Lync email address. 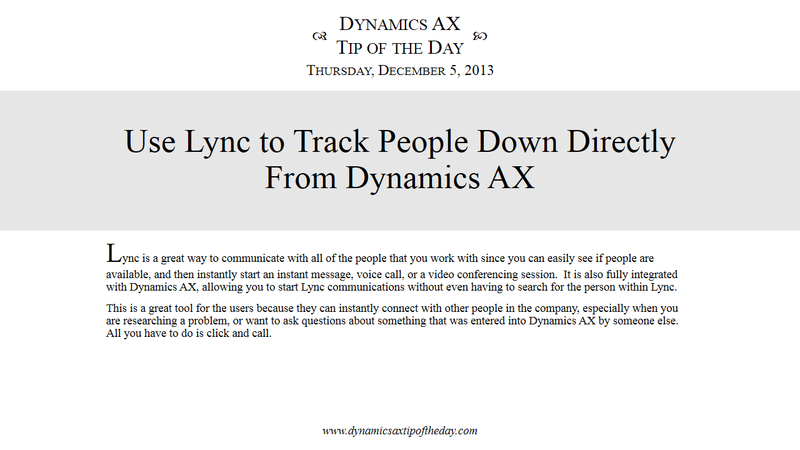 HOWNow when you see any of the users referenced within Dynamics AX, you will see the Lync presence bubble, and if you click on the bubble, you will be able to start Lync calls directly from there.